Topology is a branch of mathematics that deals with understanding shapes of objects; it's interested in "invariants" that don't change when a shape is deformed, like the number of holes an object has. Physics is the study of matter and its properties. The Nobel Prize winners were the first to make the connection between these two worlds. Topology is opening up new platforms for observing and understanding these new states of matter in many branches of physics. I work with theoretical aspects of cold atomic gases, a field which has only developed in the years since Thouless, Haldane and Kosterlitz did their groundbreaking theoretical work. Using lasers and atoms to emulate complex materials, cold atom researchers have begun to realize some of the laureates' predictions – with the promise of much more to come. In the quantum mechanical world, if an object's position becomes sharply defined then its momentum becomes highly uncertain, and vice versa. Thus, if we cool atoms down, the momentum of each atom decreases, and the quantum uncertainty of its position grows. Instead of being able to pinpoint where each atom is, we can now only see a blurry space somewhere within which the atom must be. At some point, the neighboring uncertain positions of nearby atoms start overlapping and the atoms lose their individual identities. Surprisingly, the distinct atoms become a single entity, and behave as one coherent unit – a discovery that won a previous Nobel. This new, amazing way atoms organize themselves at very low temperatures results in new properties of matter; it's no longer a classical solid in which the atoms occupy periodic well-defined positions, like eggs in a carton. 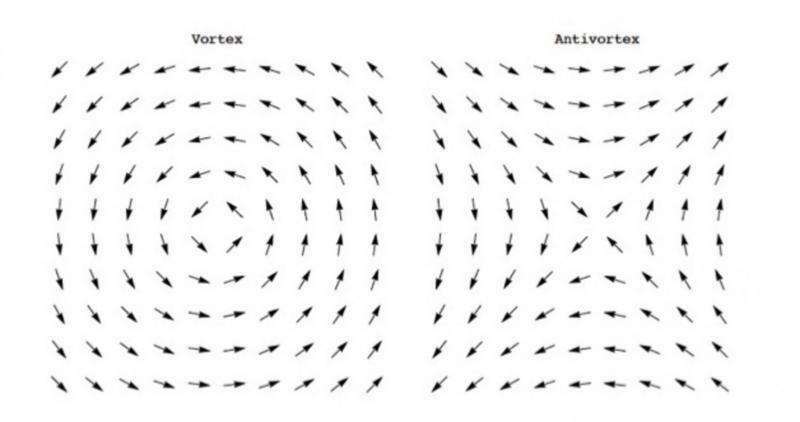 Kosterlitz and Thouless's innovation was to show that topological defects – vortex and anti-vortex whirls and swirls – are crucial to understand the magnetic and superfluid states of matter in two dimensions. These defects are not just local perturbations in the quantum order; they produce a winding or circulation as one goes around it. The vorticity, which measures how many times one winds around, is measured in integer units of the circulation. It's been possible to visualize the vortices in cold atomic gases that Kosterlitz and Thouless originally proposed, bringing to life the topological defects they theoretically proposed. In my own research, we've been able to extend these ideas to quantum phase transitions driven by increasing interactions between the atoms rather than by temperature fluctuations. 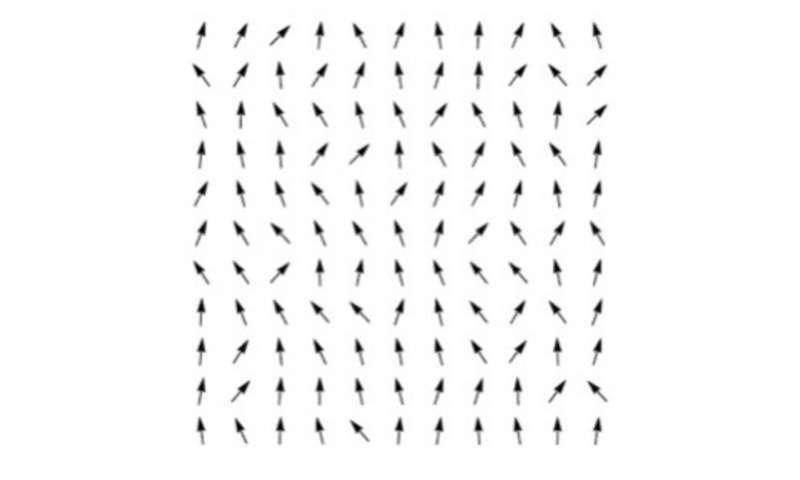 Thouless' insight was to show that the flow of electrons at the boundaries has a topological character: the flow is not perturbed by defects – the current just bends around them and continues with its onward flow. This is similar to strong water flow in a river that bends around boulders. 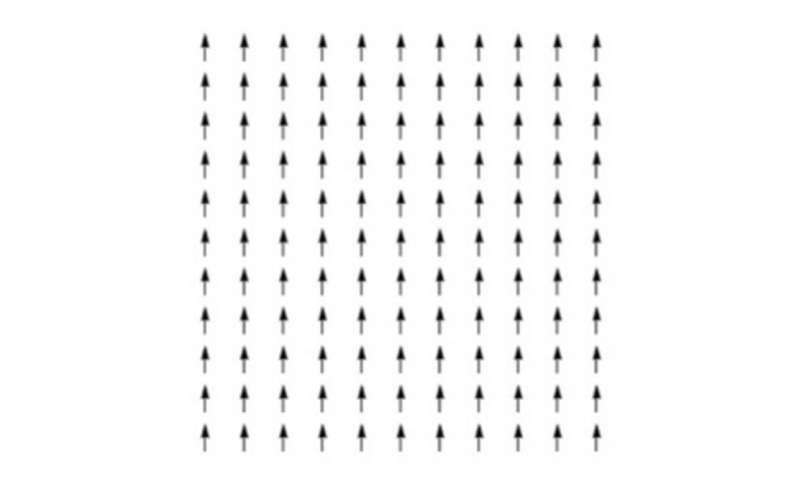 Thouless figured out that here was a new kind of order, represented by a topological index that counts the number of edge states at the boundary. 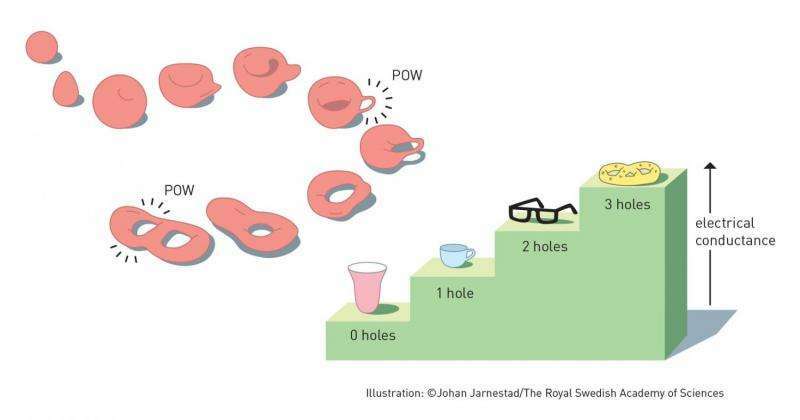 That's just like how the number of holes (zero in a sphere, one in a doughnut, two in glasses, three in a pretzel) define the topology of a shape and the robustness of the shape so long as it is deformed smoothly and the number of holes remains unchanged. Interacting topological states are even more remarkable and truly bizarre in that they harbor fractionalized excitations. We're used to thinking of an electron, for instance, with its charge of e as being indivisible. But, in the presence of strong interactions, as in the fractional quantum Hall experiments, the electron indeed fractionalizes into three pieces each carrying a third of a charge! Haldane discovered a whole new paradigm: in a chain of spins with one unit of magnetic moment, the edge spins are fractionalized into units of one-half. Remarkably, the global topological properties of the chain completely determine the unusual behavior at the edges. Haldane's remarkable predictions have been verified by experiments on solid state materials containing one-dimensional chains of magnetic ions. Topological states are new additions to the list of phases of matter, such as, solid, liquid, gas, and even superfluids, superconductors and magnets. The laureates' ideas have opened the floodgates for prizeworthy predictions and observations of topological insulators and topological superconductors. The cold atomic gases present opportunities beyond what can be achieved in materials because of the greater variety of atomic spin states and highly tunable interactions. Beyond the rewards of untangling fascinating aspects of our physical world, this research opens the possibility of using topologically protected states for quantum computing. Try using only the spherical fields for simulation, the idea of a particles and mass is misleading, i.e. does not exist! Fundamentals of all matter, rewrite modern physics and this sort of nonsense becomes clear when we remove mass and particles in this regime. Know what you are made of, it simplifies. Please, QM was OK when we had no computers but 21st century physics is creating distractors to knowledge by using unfounded theories. Simply use the facts, then it is never mysterious and no need to create word salad with no profound definition.